My mom has been using Summer Savoury in her stuffing recipes for years. We buy it locally from a farmer who produces it in the area. I found some on Amazon if you aren’t able to find it at your local grocery store. It’s often used to season poultry, stews and sauces. I figured I’d give it a try with some slow cooker potatoes. It helped create a flavourful side dish my family enjoyed! 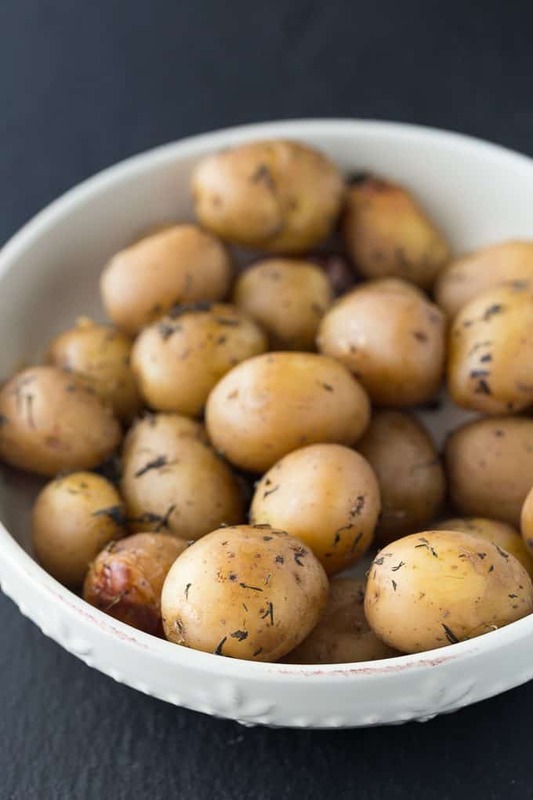 Throw your mini potatoes, savoury, garlic cloves and broth into your slow cooker and let it work its magic. I’ve been making slow cooker potatoes a lot lately and love how soft and tender they turn out. They absorb whatever spices you use leaving each bite with a perfect hint of flavour. If you haven’t tried savoury yet, you need to see what all the fuss is about! It’s delicious. How do you use savoury in your cooking? 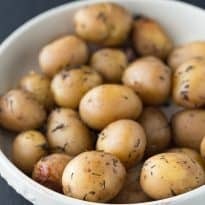 Tender mini potatoes bursting with savoury flavour with every bite! This side dish is easy to make and well loved by all. Spray a 6 quart slow cooker with cooking spray. Add in broth. Add in potatoes, savoury and garlic. Cook on high for 4 hours or low for 6 to 8, until desired tenderness is reached. Season with salt and pepper to serve, if desired. I’ve never use savoury before. I just started using thyme which is new to me and really nice. Now I need to discover savoury! I would love for you to come share this at Smell Good Sunday! Wow, I have never used Savoury before! Those taters look amazing, definitely going to give this recipe a try over the weekend. I love my crock pot and tend to use it more in the winter. Visiting from Creative Muster. Mmm … I’ll have to try these . Savoury is a spice I rarely use. I will have to try doing this, never done just potatoes in the slow cooker but it sounds like a great idea. You had me at slow cooker! 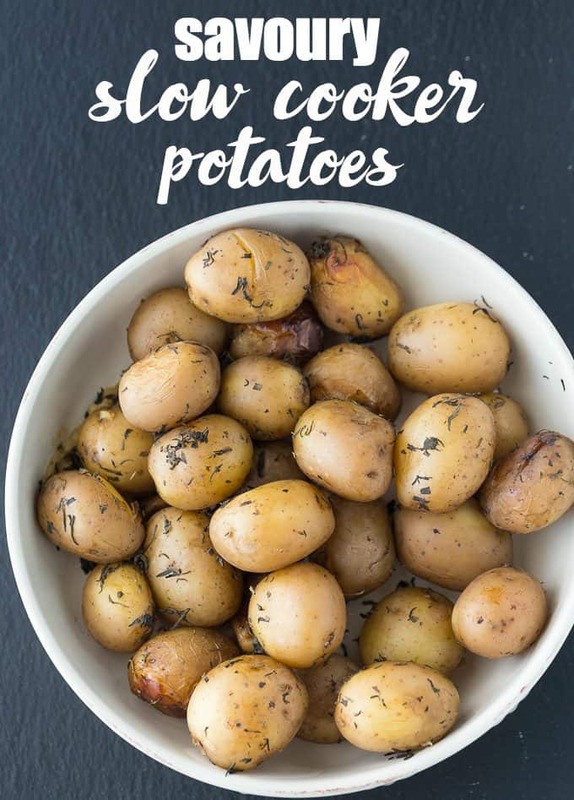 I’ve never made potatoes in a slow cooker before but I’m loving the make-ahead convenience of this recipe. Pinned to bookmark and share – thanks for the recipe! 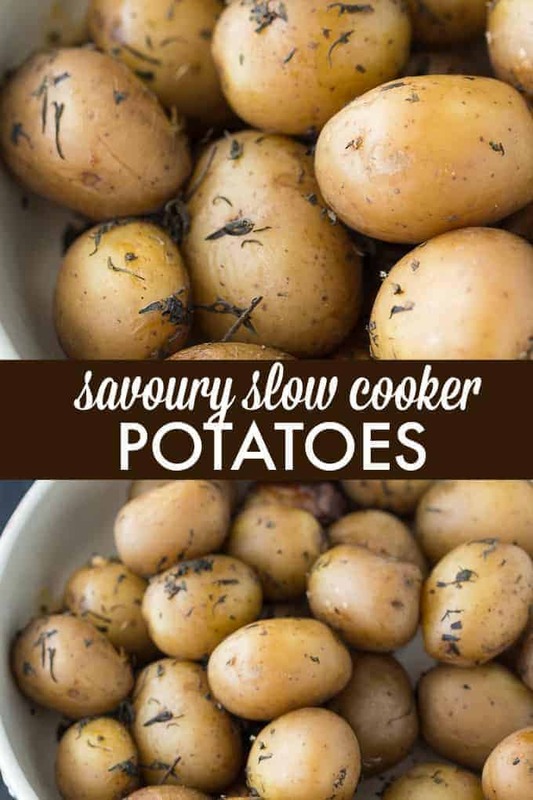 Your Slow Cooker Potatoes look delicious! Thanks so much for sharing this awesome post with us at Full Plate Thursday. Have a great week and hope to see you again real soon! Hi Stacie! Happy New Year! Great to see you last week at the Thriving on Thursday linky party. This recipe is just perfect for us at the moment because it’s just too damn hot to feel like cooking. You can just set and forget this one. I’m featuring this one at tomorrow’s party.